Nice piece, no holes, no flaws! 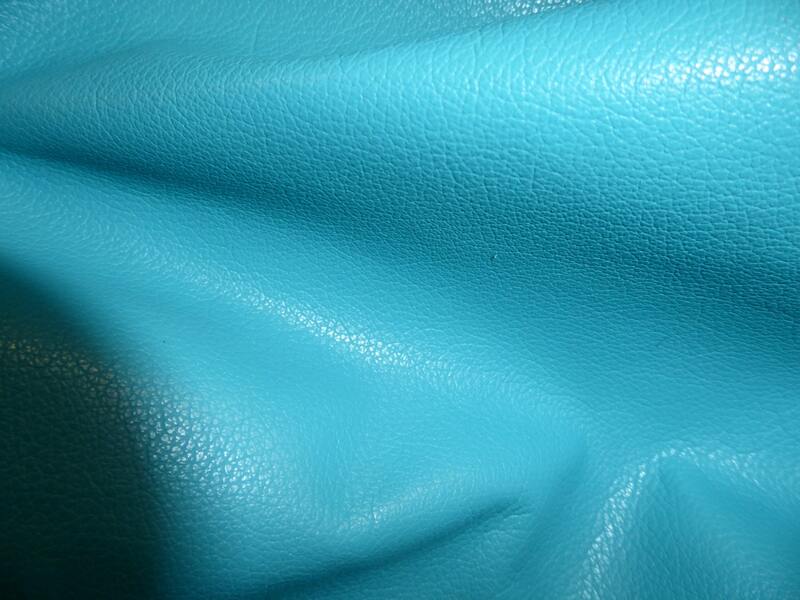 This hide is flexible, pliable and soft. It can easily be folded for sewing. 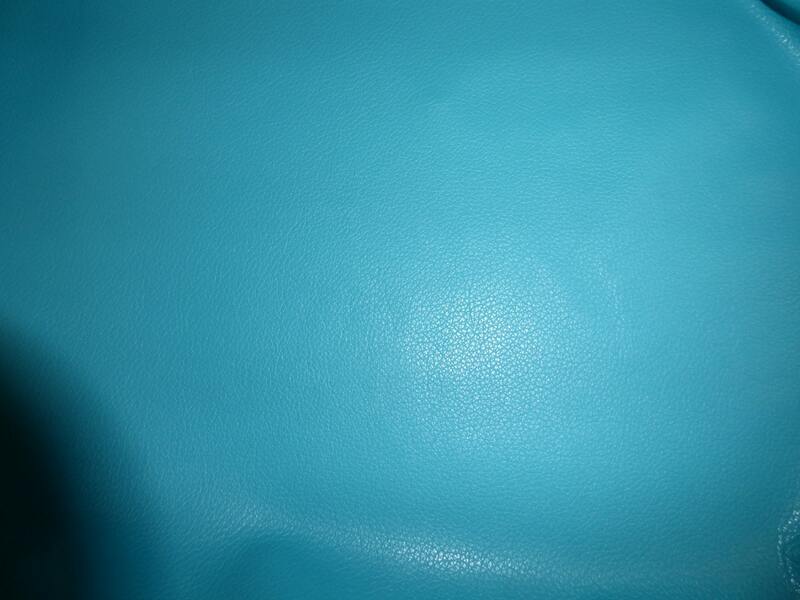 Backside is a turquoise suede that is not pretty Some pieces might have a stamp or fleshings other marks on them. Hides average 20 sq ft overall $ per sq ft. Partial hides are sold at a minimum of 3 sq ft cut off the hide in no particular shape or dimensions, $ per sq ft.
We also provide custom cuts, with a minimum 1 sq ft $ price plus a custom cut charge. Arrived quickly and was exactly as described. Thank you for the extra samples, too!!! I will be shopping with you again soon.